Two days dedicated to startups and investors, Techtoberfest features a mix of awesome speakers and great opportunities to connect. Qualified startups get a chance to meet one-on-one with potential funders. Hosted annually by Communitech, Techtoberfest is strategically aligned with North America's largest Oktoberfest–so there's no shortage of sauerkraut, sausage and beer! * To finish off the fiesta, we’ll be piling on busses and heading to Hubertushaus for a traditional Oktoberfest dinner and some brew, then back on the bus to Concordia Club to experience Oktoberfesting at its best. Shuttles back to the Hub will let you decide when to call it a night. Work hard and play hard with the Techtoberfest all-access pass. This ticket will get you a seat for all October 13 content, the chance meet 1:1 with VCs on October 12 AND a spot on the Oktoberfest bus tour. Can’t make it to the after-party? No worries, this ticket will get you all of the October 13 content and a chance to meet 1:1 with VCs on October 12. 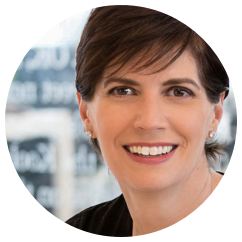 Kelly Hoey is a story of career transformation that is only explained by her unique ability to tap into networks and make valuable connections. This former lawyer, has co-founded a startup accelerator, assumed interim CMO duties for a startup, started angel investing (her portfolio of angel investments include Levo League, Hullabalu, Smigin, CloudPeeps, flowthings.io, Jekudo), become an LP in a fund (Laconia Capital Group) – just to name a few of her careers – and she is now embarking on another. Kelly is the author of the forthcoming book Build Your Dream Network to be released in January 2017 by Tarcher Perigee. Kelly continues to mentor startups through her involvement in select accelerator programs and is an advisor to NZTE. She is an adjunct professor at LIM College in New York City. In addition to all of these professional pursuits, Kelly is the Chief Tech Ambassador for the YWCA of NYC’s Girls Geek Club. As a connector, and networking expert, Kelly has been lauded from Forbes (“1 of 5 Women Changing the World of VC/Entrepreneurship”) to Fast Company (“25 Smartest Women On Twitter”). She has a column on Inc.com, writes for myturnstone.com and maintains a blog on jkellyhoey.co (as well as tweeting frequently (@jkhoey)). Kelly is a regular investor panelist on CNBC’s Power Pitch. Called “a controversial leader of the new world order” by BC Business magazine, Leonard Brody is an award-winning entrepreneur, venture capitalist, best-selling author, and a two-time Emmy nominated media visionary. Leonard has helped in raising millions of dollars for startups; been through one ofthe largest internet IPOs in history; and has been involved in the building,financing, and/or sale of five companies to date. 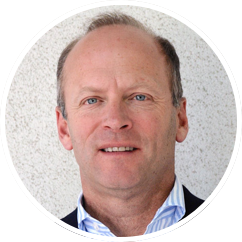 He is currently the President of the Innovation and Digital Group for the Anschutz Company, one of the largest live sport and entertainment businesses on the planet, which owns assets such as the O2 Arena in London and the Staples Center in LA; sports teams like the Los Angeles Lakers, Los Angeles Galaxy, and the Los Angeles Kings; and is one of the premier concert promotion businesses in the world, seating hundreds of millions of people a year. Leonard also acts as principal in several venture capital funds throughout the world, is behind the financing and creation of 20-30 companies a year and is one of the proud owners of Coventry City Football Club in England. Welcome to the art of hustle. 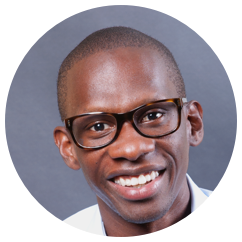 From his humble roots in the streets of West Philadelphia, where he threw hip-hop events that grew into a talent management empire fusing pop, urban and musical points in between (John Legend and Meghan Trainor) to his transformation into tech entrepreneur and venture capitalist, Troy Carter is the closest approximation in the digital age to a Renaissance man. A high-school dropout who hit it big maintaining footholds in multiple industries while investing shrewdly in a portfolio of companies including Uber, Spotify and Dropbox, he is a case study in future-forward entrepreneurship — a CEO of beats, bytes and big ideas whose synergistic success story in music and technology ranks among the most riveting and relatable in business today. 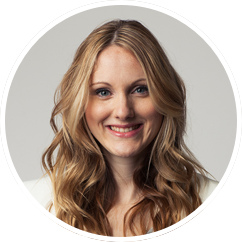 Erin is the Managing Director at 88 Creative, a Toronto-based digital marketing & design agency. Prior to 88 Creative she was the Managing Editor at startup publication BetaKit, and director of communications at Sprouter, which was acquired by Postmedia in 2011. Erin writes a monthly column for the Financial Post, and is a tech commentator on CTV News. She has appeared in publications including The New York Times, Forbes, CNN, and Canadian Business, and was named one of Marketing Magazine’s top 30 Under 30 marketers. Her claim to fame is being retweeted by Oprah – twice. Anthony Lacavera is a Canadian-born telecom entrepreneur. 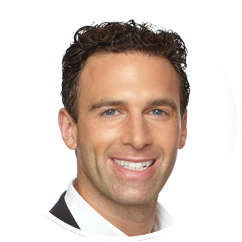 Anthony founded Globalive Communications in 1998 where he continues as Chairman, and founded Wind Mobile in 2008 where he served as Chairman and CEO from 2008 - 2015. 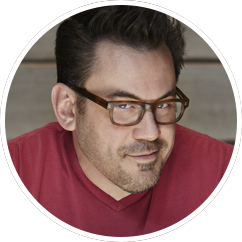 In 2015, Anthony co-founded Globalive XMG where he serves as Chairman, a company focused on the emerging Virtual Reality / Augmented Reality industries. Since 1999, the Globalive Group has founded, seeded, financed, operated, and divested of a number of companies in the Internet, communications, and technology sectors. Through accelerator programs such as the Next 36, the Hatchery Project, the Creative Destruction Lab and OneEleven, Anthony supports young entrepreneurs with financing and mentorship. 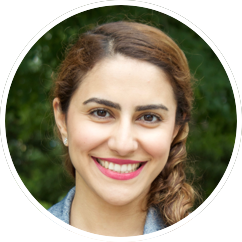 Chakameh is the Co-founder and CEO of TranQool, an online platform designed for people living with mental distress. She's an engineering graduate from University of Toronto who founded the Women In Science & Engineering (WISE) national conference in 2013. It was Chakameh's personal struggles with anxiety that triggered the idea for TranQool. She was inspired to build a solution after hearing from others and experiencing first-hand the challenges of access to mental health resources. Before launching TranQool Chakameh worked at a fortune 500 company in a leadership program. Howard Love is a life-long entrepreneur who has has successfully founded or co-founded 15 businesses & invested in over 50 start-ups. Love was born in Detroit in 1960, and attended Phillips Exeter Academy (1974-1978) and Colgate University (1978-1983). He completed his first Ironman competition at the age of 51 in Lake Placid, NY. His first book The Start-Up J Curve is published by Greenleaf Book Group. Love resides in Silicon Valley, CA. 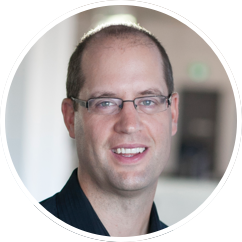 Mike Kirkup is the CTO of Encircle, a software company that helps organizations to empower their front end workforce with easy to use process automation tools that allow them to collaborate, collect and share information. He is the former Director of Velocity, the University of Waterloo’s world-renowned startup program where he helped mentor hundreds of startups. 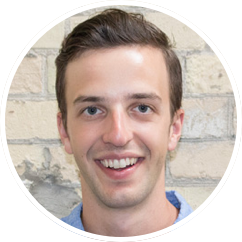 As a big supporter of the Waterloo region and startups in general, he assists CDMN with a variety of their programs and volunteers with the Waterloo Region Economic Development Corporation board. His puns are world-renowned. He's devilishly handsome. And he spins soul-soothing beats.